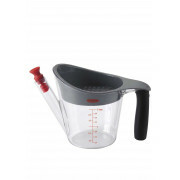 Goodsgrips new fat separator jug. Enabling you to separate fat from any liquid. 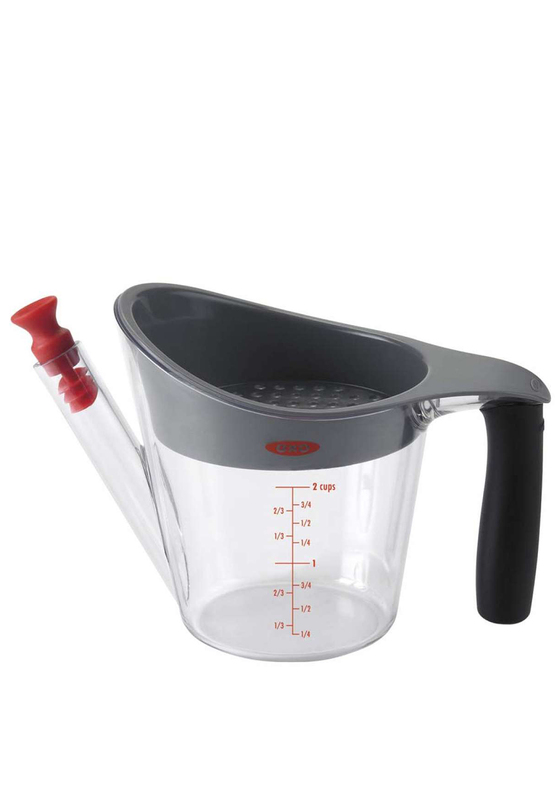 With an easy grip, black handle and a stopper to ensure no fat gets stuck in the spout of the jug.